Parents of young children constantly worry about their environment, the quality of their air. 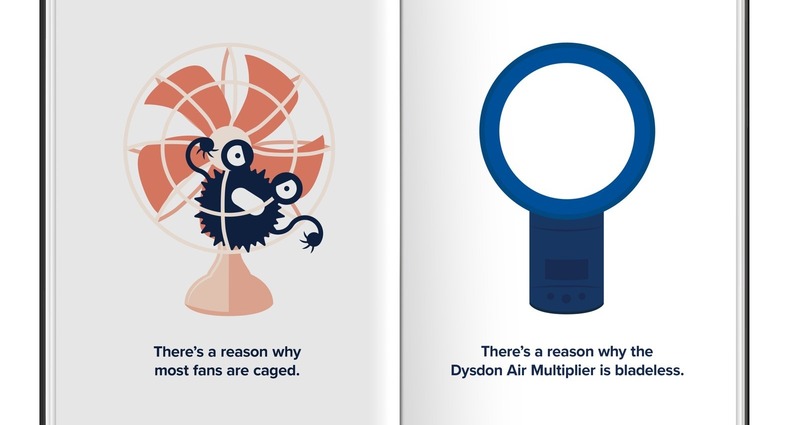 The Dyson Air Multiplier provides a clean flow of air, while traditional fans gather dangerous dust, trapping it on the blades and the cage of the fan. 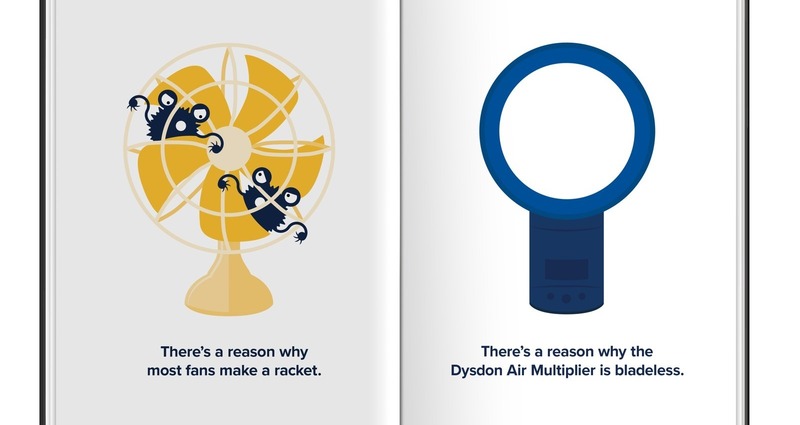 There's a reason why Dyson is the superior brand. 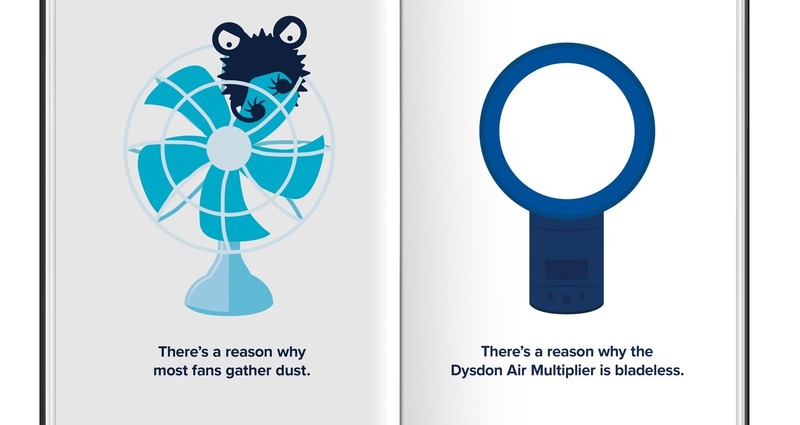 Create a series of ads that focus contrast the Dyson fan with a traditional fan in a fun kid-friendly way. Creating the illustrations that are fun and kid-friendly while staying true to the modern aesthetic the company has.